Done Right - Every time! Our trusted plumbers are always prepared to resolve your issue or project 24/7. We provide plumbing services and repairs to homes and businesses in Utah. Our expert team is licensed, bonded, insured, and ready with a solution to your plumbing or drain needs. Ask about our Financing for approved applicants. & Across the Entire Wasatch Front! Beehive Plumbing is one of the most trusted plumbing contractors in Salt Lake City and along the Wasatch Front. Our excellent service and affordable prices make us a preferred plumbing services provider - we get the job done right. Our Master Plumbers are experts in locating, cleaning, repairing, and replacing sewer lines or clogged drains so they flow freely. The professional quality of our work and reasonable prices provide great results! Whether you want a tankless water heater upgrade or need repairs for your business or home - our experts ensure you have hot water fast! 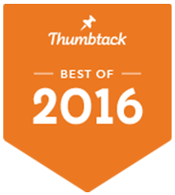 Our proven selection of water heaters include a 6-year parts and labor guarantee! Look no further for a skilled, reliable commercial plumber in Utah. We are equipped to handle large or small business plumbing and drain services. Our proven maintenance and emergency services are unsurpassed! We know customer satisfaction is the key to excellent service. We are so confident in our plumbing and drain solutions that our products and services come with a 100% satisfaction guarantee. You can count on our Utah plumbers to conduct a thorough evaluation and deliver fast, dependable service you can trust. Be it for a home, apartment, condo or office building, we do plumbing right the first time, every time. Learn more about us, guarantees and financing. Call Now (801) 661-8155 to see how effectively and affordably we can serve your needs. We understand plumbing problems are often the last thing you want to face. We investigate the issues, for your business or residence and conduct a thorough evaluation since there is often more going on than is visible on the surface. 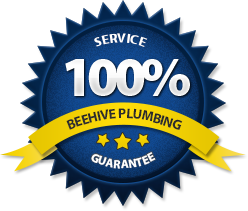 Beehive Plumbing is one of the most trusted and experienced providers of plumbing and drain services on the Wasatch Front. Our team and master plumbers are licensed, bonded, insured, and committed to providing A-1 service at reasonable rates. No job is too big or small for us. Often plumbing or drain issues are an emergency and rarely happen when it’s convenient. Locally owned and operated, we are ready to help with a plumbing or drain emergency at ANY time. As a premier plumbing contractor, you can trust us to take care of your issue at an affordable price, and maintain great quality. We guarantee our work and are committed to providing great customer service, products, and solutions in Utah. Beehive Plumbing is ready when you need us to get the job done right! As professional plumbers, we can assess your problem quickly and provide an accurate estimate of the work and cost upfront. Our affordable pricing does not take advantage of you or sacrifice the quality of work - we are committed to providing excellent service and customer satisfaction. Our expert team evaluates your property’s concerns, before they may become larger problems, saving you future costs. You receive upfront, affordable prices and we ensure you get clean, prompt, professional work and a 100% guarantee on all our services. We're the solution to any and all plumbing or drain problems, 24/7 in Utah!